The two-year Master's programme is meant for students who are fascinated by the complexity of human movement. You will study human movement from multiple perspectives, using theories from Medicine, Biology, Mathematics and Behavioural Sciences. In this programme, you will acquire an advanced theoretical understanding of human movement. You will also gain research skills and professional skills, learning to apply your knowledge in a practical setting. The programme has two central themes. In 'motor function and cognition in healthy ageing' you will explore how physical activity and innovative solutions can prevent chronic diseases, and preserve cognitive function. You will also study slow ageing. In 'rehabilitation and functional recovery' you will improve your understanding of impaired movement and the restoration of functioning in rehabilitation practices. Possibilities to further one's professional and personal development, e.g., by following additional course units, develop and execute an academic assignment, for example in a professional or an educational context. In the Master's programme in HMS, you choose one of two specializations: Rehabilitation or Healthy Ageing. In the first year you follow course units in your chosen specialization. Within Healthy Ageing you explore how physical activity and innovative solutions can prevent chronic disease and preserve cognitive function. In Rehabilitation you improve your understanding of impaired movement and the restoration of function in rehabilitation practices. The specialization further involves writing a review article on a topic that applies to your chosen specialization. By conducting literature research and writing this article you acquire and demonstrate knowledge and understanding of a specific field in HMS. Alongside the specialization, the first year includes two compulsory course units (Advanced Statistics and Philosophy of Science and Ethics) and a profiling part. In this part you can select course units that are offered by the Centre of Human Movement Sciences. Alternatively, you can select external course units or carry out an academic assignment, which could involve gaining teaching or applied research experience, doing consultancy work or writing a scientific article for publication. During your studies you are expected to work intensively with students and lecturers in various different ways. The main focus of the second year of the Master's programme is the master graduation project. You can do this internally, externally or abroad. In your research project you demonstrate that you are able to conduct scientific research in a specific field and that you are able to present your findings in a scientific article. After graduation, you can continue your academic career in a PhD trajectory or perform research at health care research institutes. In addition, you can consult at rehabilitation centres, hospitals and specialized care facilities. It is also possible to evaluate and develop ergonomic or orthopaedic products or to develop health and welfare policies for government agencies. With a teacher's certificate you can work as a lecturer in education. 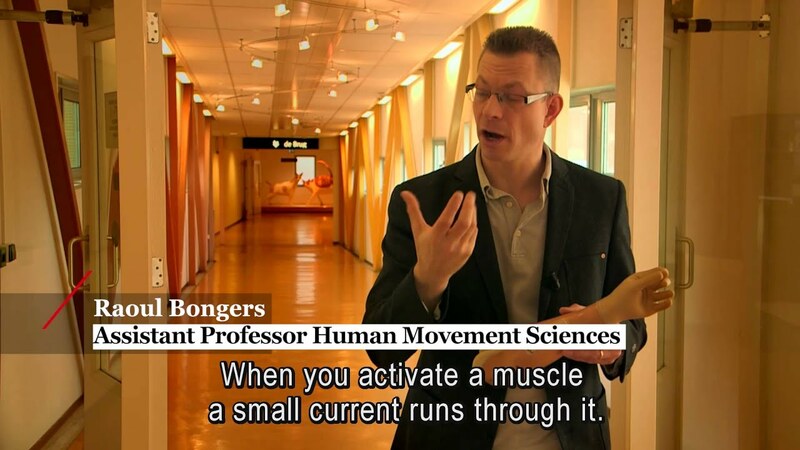 Education and research are intensely connected in the department of Human Movement Sciences. PhD's, master and bachelor students work together in an academic learning community and inspiring environment, playing a pivotal role in our research success. Student research projects within this domain are usually conducted on-site in nursing homes and/or geriatric wards of hospitals, residential facilities for the elderly or individual homes. Our department has also great lab facilities to conduct research.